Multimedios Televisión is a network of Spanish language television stations primarily concentrated in northeastern Mexico. The system is part of Grupo Multimedios. The flagship station of Multimedios is XHAW-TDT located in Monterrey, Nuevo León. Programming features locally produced news, sports, children's shows and general mass appeal variety programming. On weekdays, the network produces around twenty hours of live daily programming, with lesser amounts during the weekends and holidays. Throughout its broadcast week, the network produces 58 hours of news programming per week under the branding of Telediario, including a Sunday night public affairs program, Cambios. It also produces pre-game, post-game and other programming involving Monterrey's two major soccer clubs, Tigres UANL and C.F. Monterrey, and through Groupo Multimedios' half-ownership of the team as of February 2017, a media partnership with the Mexican League's Sultanes de Monterrey in baseball, including weekend home game coverage. The company also has network affiliates in many cities, some of which produce local content. The networks spans Northeast and North-Central Mexico, along with the Southwestern United States through over-the-air availability, but is also available nationally in both countries via cable, satellite and IPTV services. As of May 2016, all of the network's programming is presented in a 16:9 widescreen optimized form in both standard and high definition. Multimedios owns and operates most of its Mexican stations by way of two concessionaires, Multimedios Televisión and Televisión Digital. After operating in Monterrey alone for more than 20 years over XHAW-TV, Multimedios began its expansion in earnest in the late 1980s and early 1990s, building a rebroadcaster in Saltillo and new stations in northeast Mexico and in León, Guanajuato. It further increased its broadcast reach with affiliate stations in the northeast. In the Monterrey area, Multimedios also owns and operates a second TV station, XHSAW-TDT. Multimedios participated in the IFT-6 television auction of 2017 and won six stations, including transmitters in Mexico City, Guadalajara and Puebla. The Mexico City station began broadcasting Milenio TV and Teleritmo on July 4, 2018. XHMTCO-TDT in Monclova, Coahuila, signed on July 7, 2018, and XHMTDU-TDT in Durango entered program service on August 6. XHTDMX-TDT began limited program service on August 14, 2018, and began a full schedule of programming originating from both Monterrey and Mexico City beginning August 27. The transmitter for XHTDJA was turned on September 13. 31 6 XHLGG-TDT Cerro Los Tenamastes, Jal. The Multimedios network formerly used virtual channel 12 (XHAW's channel number from its 1968 launch), from the national standardization of virtual channels on October 27, 2016 until the change to 6 on February 24, 2018. This mapping was not exclusive throughout Mexico, as Hidalgo's state network Radio y Televisión de Hidalgo and six local stations elsewhere are also mapped to channel 12. On February 24, 2018 (timed to XHAW-TDT's 50th anniversary celebration of going on the air on that date), Multimedios changed the virtual channel of all of its owned and operated stations to channel 6. 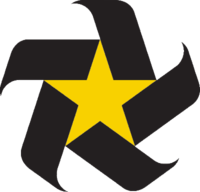 Towards the end of April 2018, Multimedios began to utilize a secondary black and yellow "6" logo to remind viewers of its new national channel position, though its trademark star logo (which was simplified and took a mirrored look from its former logo in mid-2015) will remain in wide use. The network is also available nationwide through providers such as SKY México/VeTV and Izzi/Cablevisión. All American Multimedios affiliates are owned and operated by other broadcasters, due to FCC regulations regarding foreign ownership of radio and TV stations. The network leased stations from Mako Communications until early 2007. The American version of the network feed features American direct response advertising and public service announcements laid over the main Monterrey feed, along with some programming substitutions (mainly Monterrey-specific local shows and paid programming for second runs of the network's main shows), along with KHLM-LD's Houston-focused public affairs program ¿Que Pasa Houston? on Sunday afternoons. The main Monterrey feed is available to Mexican viewers, streaming through the network's website and its iOS App Store and Google Play apps, with all network feeds blocked in the United States in deference to its American cable partners. As of late August 2018, the American network features mainly the XHAW-TDT schedule of entertainment programming from Monterrey, but the noon and primetime Telediario blocks are now split, with the first hour originating from XHTDMX-TDT's Mexico City broadcast, and the second hour being the Monterrey broadcast, with the morning newscast block switching in and out from both the Monterrey and Mexico City editions. Futbol al Dia and Multimedios Deportes now also split between the Monterrey and Mexico City editions. The network is authorized to be carried as a foreign television service in Canada by that country's broadcasting authority, receiving that authorization on April 22, 2015; Milenio Television was also included in a separate application. Houston KHLM-LD 43.1 Lotus Communications Corporation KHLM is effectively marketed as the American flagship of the network, including their channel positions being called out in some programs, and hosts road tours of Multimedios's variety programming and hosts, which take place at Houston area venues. Phoenix KPHE-LD 44.1 (16) Lotus Communications Corporation Part-time affiliate; shared with Telemax. El Paso/Juarez K26KJ-D 25.1 (26) BGM License LLC Formerly K40FW. Sister station to XHIJ-TDT. Multimedios is available across the United States on many cable, satellite and IPTV systems, including DirecTV, Dish/Sling, Comcast, Spectrum, AT&T U-Verse, Verizon FiOS and Grande Communications. It is carried in both standard definition and high definition versions. In 2016, the network also became available in Costa Rica (the third largest Mexican diaspora behind the United States and Guatemala) through cable (several of the network's personalities are Costa Rican-Mexicans); the American and Costa Rican feeds, along with the local "Plus" feed thus had a separate version of their morning lifestyle program, Vivalavi, known as Vivalavi Internacional with different hosts carried over them. Vivalavi Internacional was cancelled on January 11, 2017. Vivalavi began to feature segments from Monterrey and Mexico City in mid-August 2018. In addition to this, the audio streams of Multimedios, Milenio TV and Multimedios' sports radio station XERG-AM are available via telephone through a both a Mexican and American telephone number for the regular costs of airtime depending on provider. Rio Grande City KTLM 40.4 NBCUniversal Had Milenio Televisión on 40.2. Was the only Telemundo O&O affiliated with either network. Both were dropped after NBC bought KTLM. ^ "LISTADO CANALES VIRTUALES" (PDF) (Press release) (in Spanish). Federal Telecommunications Institute. Retrieved 24 January 2017. ^ "Canal 12 se convierte en el 6". Multimedios. 8 February 2018. Retrieved 8 February 2018. ^ "Addition of Multimedios Television to the List of non-Canadian programming services authorized for distribution" (PDF). Canadian Radio-television and Telecommunications Commission. 22 April 2015. Retrieved 31 December 2016. Reception may vary by location. See also list of television stations in Mexico and list of Mexican television networks.